The vaping industry has seen its fair share of innovations. Like with everything else, some have been flops, but most seem to have stuck around. Sub-ohm vaping is still going strong, as is high-powered vaping; even squonk devices are making a comeback. Still, it’s sometimes difficult to differentiate between marketing ploys and real innovations, as is the case with the most recent buzzwords in the vaping world. Of course, we’re talking about nicotine salts. 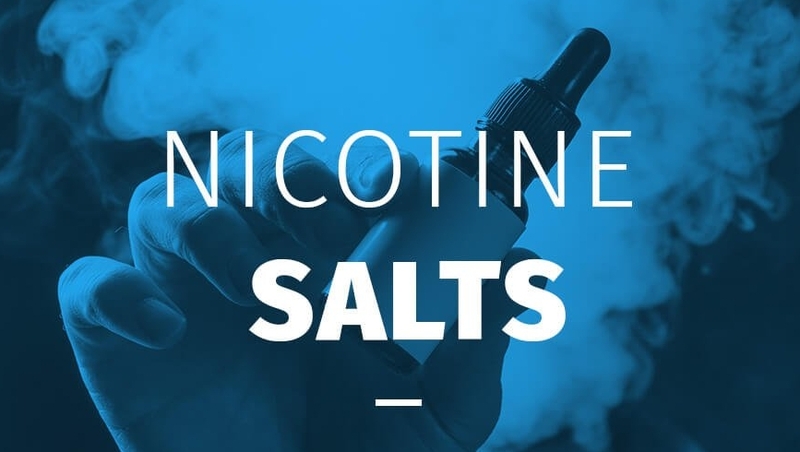 Although the concept of vaping on something called nicotine salts (or Nic Salts, as it’s abbreviated) sounds a tad unappealing, the hype is pretty real. We have the JUUL to thank for that – their pods popularized nic salts, being arguably the strongest e-liquids out there (50 mg nicotine liquids do pack a pretty punch, there’s no doubt about that). Before we go into what nic salts are and what they are not (hint: they’re not crystals, so don’t worry), let’s check out what vapers who’ve used them have to say about the upsides. They deliver more nicotine in a single puff, which means that most smokers who are using e-cigs to quit can now save a substantial amount on vape juice. Smokers are always searching for that something that’s like smoking, but not exactly it. Using nic salts provides a sensation similar to smoking, even with small pocket-size devices. In regular vape juice, as nicotine level goes up, so does the subjective feeling of throat hit. With nic salts, that sensation is curbed, which means that you can now vape on higher concentrations without feeling like your throat is on fire. In the last couple of years, vape devices have been growing in size. Vapers who wanted top performance would often opt for larger and bulkier e-cigs. There’s no need to do that anymore – nicotine salts work great in smaller devices, such as pod systems or small vape pens. There are certainly benefits to using nicotine salts compared to regular e-liquids. So, how come we haven’t heard about them before? Are they a recent breakthrough? And, what exactly ARE nic salts?